Click here for the latest news on the Bosnian "Pyramids"
In the Hall of Ma'at, fed-up archaeology buffs fight back. Like so many others of his generation, John Wall was bitten hard by the Egyptology bug following a visit to the landmark Tutankhamun exhibit that toured the world's museums in the 1970s. A resident of southern England and an electrical engineer by trade, Wall was soon taking trips along the Nile and reading voraciously on the subject, dismissing the occasional "alternative" publications and television shows as "pyramidiocy." That is, until he plugged into the World Wide Web. "In the late 1990s I acquired a reasonably fast Internet connection and looked for sites on Egypt," recalls Wall. "On various message boards and discussion lists I found out just how pervasive alternative history was. Even as an amateur, I saw that it was seriously wrong and based on, at best, ignorance or, at worst, deceit." What galled Wall even more was the tone in which alternative history was presented and discussed on myriad websites and electronic discussion groups that had sprung up on the Internet. "[Pseudoarchaeological] perpetrators and their followers seemed to deal with each and every objection by abusing the questioner, twisting facts, or invoking an Egyptological conspiracy that would make Watergate look insignificant," says Wall, who claims to be particularly proud of having been labeled a "sniveling, insinuating little worm" by one preeminent pseudoarchaeological author during an online discussion. Katherine Reece, an accountant and business manager from Clanton, Alabama, was once a "true alternative believer" who frequently posted messages on many of the same websites Wall encountered. Ironically, it was through these cyber exchanges that she was first exposed to "mainstream" archaeologists such as Garrett Fagan and amateur buffs like Wall who actively refuted alternative histories. "But almost more importantly, I saw how [pseudoarchaeological] authors themselves dealt, or didn't deal, with questions from the general public," says Reece. "People who asked questions were labeled disingenuous and worse. I wondered why [pseudoarchaeological proponents] insulted the questioners rather than answer their questions." By 2001, Wall, Reece, and Fagan, along with South African archaeologist Michael Brass and British biochemist Duncan Edlin--all regular dissenters in pseudoarchaeological cyber forums--had had enough. "Through our online experiences, we learned that many people were unfamiliar with or lacked access to information with which they could make comparisons between alternative history books and mainstream titles and journals," says Reece. "There also seemed to be a need for a guide to direct readers toward a better understanding of history and archaeology, since most readers of alternative books were not professional archaeologists or historians." In June of that year, their website, In the Hall of Ma'at (www.thehallofmaat.com), went online. The website takes its name from Ma'at, the ancient Egyptian principle of justice and balance, and according to its homepage aims to "provide a well-reasoned case for the mainstream version of ancient history." 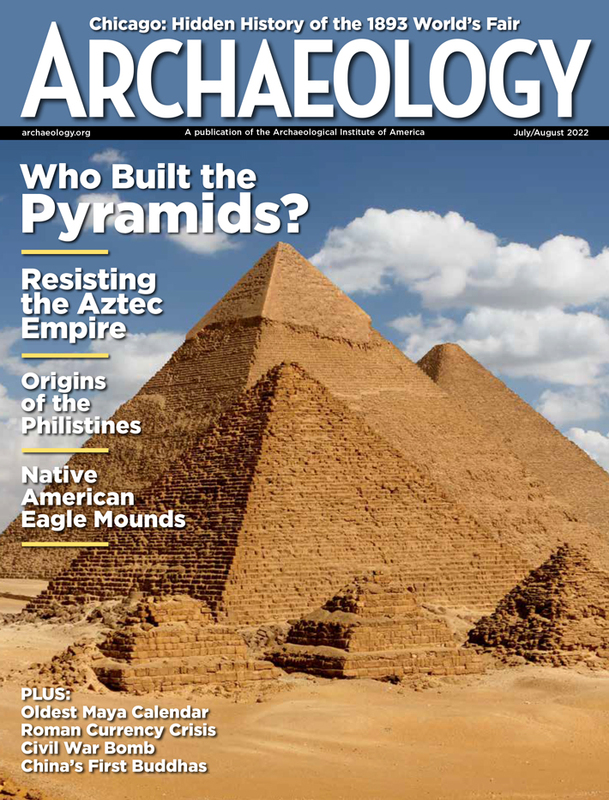 Its primary features are a collection of articles dealing with such topics as the weathering of the Sphinx and the age of Antarctic ice, as well as a lively message board where, according to site owner Reece, "the mainstream proponents, the numerologists, the conspiracy theorists, the fence sitters, and all the others commingle and share thoughts on history." What makes the story behind Ma'at so compelling is that its day-to-day operation relies almost entirely upon a group of archaeology nonspecialists. Along with Reece and Wall, Ma'at's directors include geologist Paul Heinrich of Baton Rouge, Louisiana, and site administrator Don Holeman, an Enfield, Connecticut-based computer engineer. Like Reece, Holeman was under the spell of pseudoarchaeology until he visited an alleged Massachusetts "monolith with indecipherable hieroglyphs" described in von Däniken's Chariots of the Gods. It turned out to be a weathered boulder bearing a commemorative plaque that identified it as a Portuguese monument. "The Portuguese inscription was barely discernable, but my disappointment was not," Holeman recalls. Fagan and Edlin are no longer regular contributors to the site but continue to support it; archaeologist Brass, author of the 2002 creation-debunking book The Antiquity of Man, is still involved with the site. While there are websites dedicated to refuting specific pseudoarchaeological topics, such as ancient space travel or evidence for creationism, Ma'at attempts to be a clearinghouse for all topics. The message board gets up to three hundred posts a day, with ancient Egypt the most popular subject, followed by Precolumbian America. In its first year of operation, thousands of people visited Ma'at, and the website recently moved to a larger server to accommodate increasing bandwidth demands. As the popularity of Ma'at demonstrates, the hunger for reliable archaeological information and reasoned historical discussion is out there. How to explain, then, the pervasiveness of pseudoarchaeology on the web? 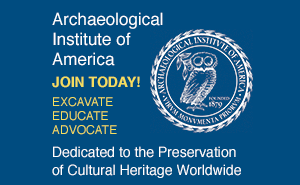 According to the people at Ma'at, professional archaeologists and historians need to get more involved. Heinrich became an active pseudoarchaeology debunker after watching the 1996 television program The Mysterious Origins of Man. "As a geologist, I found the inability of the producers to distinguish between natural concretions and man-made objects, their naive acceptance of theories such as Earth Crustal Displacement, which was refuted by geologists long ago, and numerous other flaws in the program to be so obvious that, given the show's popularity, I felt someone needed to take the time to point them out." Since then, Heinrich has shared his expertise with the Ma'at community and addressed more specific issues of geology and pseudoscience on his own website, The Wild Side of Pseudoarchaeology Page. Heinrich wishes more archaeologists would follow his example. "Archaeologists obviously need to take the time to respond, in a polite and understandable fashion, to the more popular and persistent web pages and other media promoting alternative histories. Instead of just dismissing them offhand, such responses need to explain the specific logical and factual flaws in the arguments made by many alternative 'historians' and 'archaeologists.' Moreover, they have to make sure the public not only better understand what archaeology is and how it is done, but also the significance of such research to their own lives." The Internet is often heralded as the great democratizer, providing a relatively inexpensive medium for the seamless exchange of ideas and information around the globe. Challenging the scientific "establishment," a favored role for pseudoarchaeologists, now requires little more than a theory and an Internet connection. Still, the people supporting In the Hall of Ma'at are optimistic that this frontierless new cyber world will finally provide the opportunity for scientific reason to triumph over pseudoscientific speculation. "I still have my copy of Chariots of the Gods," adds Holleman, "which I keep as a reminder that sometimes even fifty cents is too much money for a book." A pro-creationist website that seeks to prove, among other things, the presence of dinosaurs in the Bible and the fallacy of carbon-14 dating. "Independent researcher" Alan Alford pushes the idea that ancient Egyptian, Greek, and Mesopotamian religions were "exploded planet cults" and have something to teach us regarding "eternal life in the other world." Official website for Canadian couple Rand and Rose Flem-Ath, authors of When the Sky Fell: In Search of Atlantis and The Atlantis Blueprint. According to ancient astronaut proponent Zecharia Sitchin, the tale of Sodom and Gomorrah derives from a nuclear attack in 2024 B.C. that wiped out "a spaceport in the Sinai Peninsula." Preeminent pseudoarchaeologist Graham Hancock often makes personal appearances on the site's message boards and offers up exclusive articles to further his theories. Along with FAQs (Frequently Asked Questions) regarding the veracity of biological and physical evolution, this site offers FRAs (Frequently Rebutted Assertions) that often surface in creationist arguments. A Brown University biology professor's fight against the "intelligent design" arguments of creationism. Paul Heinrich's case against "alternative geology," including the impossibility of pole shifts and the artifact "from an advanced ancient race" that happens to be a spark plug. An excellent collection of links to sites that dispute pseudoarchaeological theories. Ma'atian Michael Brass keeps the public up to date with the latest research in paleoanthropology and hominid evolution. Kristin M. Romey is managing editor of ARCHAEOLOGY.